No Ready to Move Projects available! New Bookings symbolize primary purchases i.e. purchase is done directly from a builder or his official channel partner. The registration of the property happens for the 1st time when you buy it. New Bookings price is calculated as Base Price quoted by Advertiser * Saleable area. It could be different for different payment plans. Floor/View PLC, Car Parking, Any amenities, Registration Charges, Taxes etc. would apply additionally. Resale properties symbolize secondary purchases i.e. the ownership is transferred from an existing owner to the new owner. The property could have been registered once or multiple times or might be un-registered till now. The Resale price quoted by/on behalf of owner is property specific, depending upon the floor, view, amenities associated with the property. Transfer charges may apply additionally. Disclaimer: Liveable area is a 99acres defined area based on internal calculations. Exclusive Deals Available At Best Price !!!! Call for best offer !! Disclaimer: The price mentioned above is the base selling price (BSP) only. Additional charges may apply. Click to estimate final price. Villas do not have Floors! No Additional Costs are available! No New Booking offers Available! Sorry, payment plan break-up is not available for the selected Plan. Disclaimer: The above cost break-up and calculations are as per the information provided in the latest official price list available with us. However, the price information does change frequently and without notice, hence, users are recommended to verify the above information independently. Also please note that unless mentioned in the above list, charges like Service Tax, Stamp Duty, Registration Charges etc. would be additionally levied. GLS Arawali Homes in Sohna, Gurgaon by GLS Infratech is a residential project. The project offers Apartment with perfect combination of contemporary architecture and features to provide comfortable living. 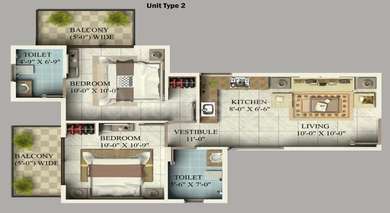 The size of the Apartment ranges in between 467.0 sq.ft. 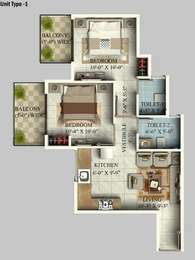 and 576.0 sq.ft. GLS Arawali Homes price ranges from 16.81 Lacs to 23.04 Lacs. GLS Arawali Homes offers facilities such as Gymnasium and Lift. It also has amenities like Basketball court and Lawn tennis court. It also offers Car parking. This is a RERA registered project with registration number 232 OF 2017. Bank loan approved from HDFC home loans, ICICI, State Bank of India, Canara Bank, Punjab National Bank, Indiabulls and Dewan Housing Finance Corporation Limited (DHFL). It is an under construction project with possession offered in Apr, 2019. The project is spread over a total area of 10 acres of land. It has 75% of open space. GLS Arawali Homes has a total of 16 towers. The construction is of 13 floors. An accommodation of 1632 units has been provided. GLS Arawali Homes brochure is also available for easy reference. One of the strongest real estate market of North India, Delhi/NCR has a mix of properties in the luxury, middle and affordable section. The availability of these along with strong infrastructure developments resulting in easy connectivity impacts the market positively. The positivity in the job market creating opportunities and bringing people in the region is also one of the strongest reasons impacting the real estate market. What is the location of GLS Arawali Homes?The location of the project is Sohna, Gurgaon. What size of flats are available in GLS Arawali Homes? The apartment sizes in the project vary from 467.0 sqft to 576.0 sqft. What is total area of 2 bhk in GLS Arawali Homes? 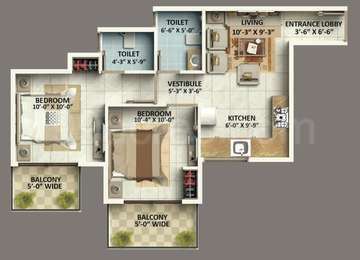 The area of 2BHK units in the project varies from 467.0 sqft to 576.0 sqft. How much is the total size of GLS Arawali Homes?The project is spread over an area of 10.0 Acres. What is total price of 2 bhk in GLS Arawali Homes? The price of 2 BHK units in the project ranges from Rs. 1681200 to Rs. 2304000. What is the price of flats in GLS Arawali Homes? Average unit prices in the project stand between Rs. 1681200 and Rs. 2304000. I have an apartment in GLS Arawali Homes, which I am planning to give on rent once the possession happens. How much monthly rental can I quote? Please let me know if there is a demand for rental apartments in this area? HI Mehak! According to data available on property portals like 99acres, rent of a 2 BHK on Sohna Road is in the range of Rs 15,000 to Rs 25,000 per month. Therefore, you can also charge similarly. Rent is dependent on factors like furnishings, size of the apartment along with the amenities offered by the society. You may also take 1 or 2 months rent in advance as a security deposit. The upcoming industrial hubs in Sohna and Manesar will increase the demand for rental accommodation in this area. Also, there are many colleges and educational institutes like World School of Technology and KR Mangalam University etc. in proximity which assure you of earning rental income from your property in this project. I will be moving to GLS Arawali Homes with my family. I have 2 kids. Are there any facilities for kids in this project? Hi Prerna! As per the conversation with a local broker, GLS Arawali Homes will have a dedicated play area for kids along with a basketball court, lawn tennis court, multipurpose court and parks. In addition, schools like Bal Bharti Vidya Mandir and RPM Public School are not more than 5-7 minutes away from this project. There are sports academies like DPR Sports Academy and Eklavya Sports Shooting Academy 2-3 km away from this project thereby providing scope for extracurricular activities near this project. Also, it is going to be a gated society with security guards keeping a check on all the visitors entering the society. CCTV cameras will also be installed at the main gate and other various spots in the project. In addition, Sohna police station is not more than 5 minutes away thereby increasing the security layer.